The Physiotherapy clinic has been established in Dover by Elizabeth Maltarp since 1990. With continued success and growth, the clinic moved to the self-contained premises in High Street it occupies today. There is excellent transport services and easy road access to our door. We are well established private physiotherapy practice in Dover and Hastings with a team of experienced physiotherapists. We provide physiotherapy assessment and treatment to all clients including medical insurers and self-referred clients. We able to offer the treatment for a broad range of musculoskeletal and neurological conditions commonly treated by physiotherapy. We utilise evidence-based physiotherapy approaches to providing patients with best possible results. 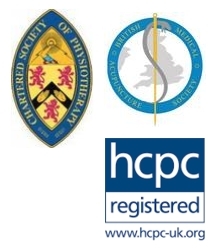 Our team of highly experienced Chartered and HCPC registered physiotherapists have extensive post-graduate training and knowledge which guarantees expert treatment and advice. Our principle approach is to help you identify the factors contributing to your problem and help you achieve a long-term solution with the use of physiotherapy techniques including mobilisation, manipulation, electrotherapy, acupuncture, education and exercise. We will inspire you to lead a healthy lifestyle and help you to enjoy life to the fullest. We will be fully committed to your recovery. We will provide you with exemplary and effective care. We shall help you to understand how the body works in evolutionary terms. Guide you in managing your problem using tailor made rehabilitation programme. We will be honest with you in my approach with dealing with your problem and utilise the best available evidence in treating and managing it. All information you share with us will be confidential.